When it comes to web hosting options, there are countless choices available like stars in the sky. Hosting industry has become very competitive. Both small and large hosting companies are taking advantage of it. You can see many leading hosting providers are coming with robust yet affordable hosting solutions to attract their clients. The business hosting service from Hostinger is a good example of it. Already, the company offers a wide range of hosting solutions, ranging from shared hosting to VPS hosting to business hosting but to cater the needs of users who need a perfect hosting solution between shared and dedicated hosting, they have come with the business hosting. In this post, I am going to review Hostinger business hosting plans their pricing and features. So if you are in search of a good hosting plan for your growing site and think business hosting can be a good option for you, stick to this article. Let’s start this review by throwing light on Hostinger’s journey in the industry so far. Hostinger entered into the industry in the year 2004. Ever since the company is on the epic ride as you can see at a regular interval, the company is coming with a new hosting solution. In 2007, Hostinger launched 000webhost, a free hosting brand with no advertising. And in 2008, they came with Hosting24 and now business hosting is in the market. Talking about their customer base, the Hostinger network jointly has more than 29 million customers in 178 countries. On an average they receive 15K new signups every day – that means 1 new sign up every 5 seconds! The company says their major aim behind the launch of hosting service was to empower the people with the power of the internet. At present, Hostinger has 8 data centers at multiple geographical locations and they have localized their services in 39 countries. One thing that makes company reliable in terms of financial status and service is that the company is a part of ICANN organization. Recommended for you: 21 Warnings Indicate the Time to Switch Web Hosting (Infographic). Hostinger is renowned for offering affordable hosting solutions. If you will take a look at their business hosting pricing, you will come to know that they are actually offering services at competitive pricing. They have 3 plans designed to serve different needs. Let’s take a look at their pricing and features. It is an ideal option if you want to host a growing site that receives a decent traffic every month. With this plan, you get 3 GB of RAM, 40 GB of disk space and 2 CPU Cores. Speaking of pricing, you will have to pay $15.90 every month for this plan. If you’re running an eCommerce site that has exposure to a global audience, you will find this plan best fit for you. With 80 GB of disk space, 6 GB RAM and 4 CPU cores, you can easily accommodate a high-traffic site that is getting lots of organic traffic. No matter how much traffic is coming your way, the Professional plan seems sufficient to handle even traffic surges in every situation. The monthly cost for this plan is $31.80/ for a month. Nothing can be worse than seeing your site down during the traffic surges. Therefore, always ensure that you’re getting a sufficient space and RAM to provide your audience the best experience. Enterprise plan is the premium most plan offers 169 GB of disk space, 12 GB RAM, and 6 CPU cores. You might be thinking every hosting provider is coming with such high configuration so what’s new about Hostinger business hosting? 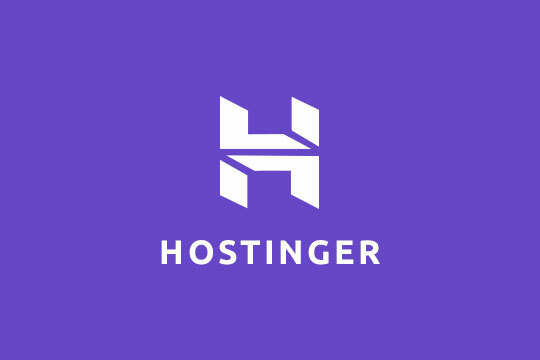 Well, Hostinger offers some amazing additional features for absolutely free for which you will have to extra dollars if you buy them for another hosting provider. Regardless of the plan you pick, you will get a free SSL certificate, a free domain (with annual plan), 24/7 live support and a free daily back. Isn’t it great? Right now, the company is running 45% discount on it’s all business hosting plans that’s why their pricing is cheaper than others. It is an ideal time to cash in on the opportunity. 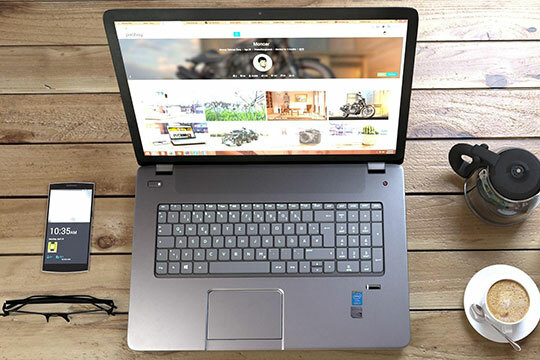 You may like: 13 Best Image Hosting & Sharing Websites You May Not Know. The primary aim of their business hosting is to offer their customers an isolated and dedicated environment. At Hostinger business hosting, you get a dedicated IP address along with the slice of disk space, RAM, and CPU cores. The good thing is that all the provided resources are solely designed for you, no one else can use them except for you. Moreover, since their servers operate on isolated virtual instances, you can easily take control of resources and limits. I found Hostinger servers are good enough in terms of response time and performance. When I checked their performance using Bitcatcha, it showed A+ results. See the snapshot given below. One of the biggest advantages of choosing Hostinger is that all their business hosting plans are protected by 30 days money back guarantee. In case you’re not satisfied with their service within this trial period, you can ask for an instant refund. The company says they refund instantly with asking a single question. Very few companies come with such great money back guarantee, so take advantage of it. There are 2 primary mediums using which you can get access to their customer support team that are: live chat support and ticket support. Live chat support is available 24 hours, all 7 days of the week. On their chat support, you may expect to get answers to your queries with 1 to 2 minutes. (that my personal experience says). As I never used their ticket support so I can’t say anything about it. In addition to this, they also have a tutorial section, Knowledgebase and forum support. All in all, they are offering enough mediums to reach to their customer support team. You may also like: Choosing the Right Web Hosting & CDN Combination for Your Business. Hostinger’s business hosting offers the power of cloud hosting with the simplicity of shared hosting. 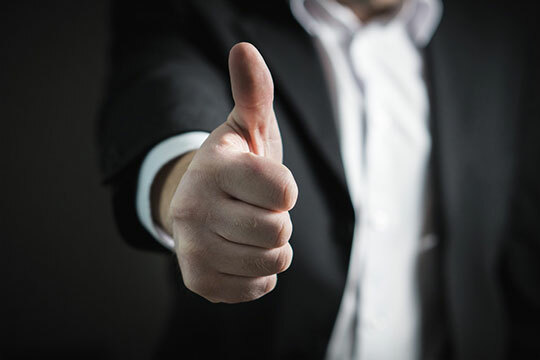 If you don’t want to compromise on the performance of your site and need a robust hosting solution, you must give it a try. Thank you for review Souvik, I use their service and I don’t know where you get the prices from, but it is cheaper now. I paid INR 7000+ for 2 years of hosting. I like them, my website is quick and support is friendly. Excellent insights! Hostinger is really good. Very easy to install and set up everything. WordPress website is very fast and has very good uptime. I even managed to find a discount code which gave me a nice 15% price off. Souvik, thanks for this review. It really helped me understand a little more about Hostinger. I wonder how real performance tests would look like and what are the real experiences of someone who actually used VPS or Business hosting for a longer time. Anyone?